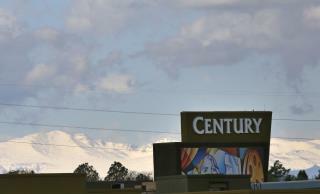 (Newser) – Cinemark, owner of the Aurora Century 16 movie theater where 12 people were killed in a 2012 mass shooting, is seeking nearly $700,000 in legal fees from victims and their families, Deadline reports. According to the Denver Post, more than two-dozen survivors and parents of those killed sued the theater chain for not hiring armed guards, not having enough security cameras, and generally failing to protect theater-goers from shooter James Holmes. An Arapahoe County jury ruled against the victims last month, clearing the way for Cinemark to seek reimbursement for $699,187 in legal costs. First I thought the theater was making the victims and their families pay money for the trial, until i read they tried to sue the theater for not having armed guards, that won't fix much, it was ignorant on the families for suing them over not having armed guards. can you see it now. Lines like TSA in order to go to the movies. That will also increase costs of doing business which will get passed on. What next, restaurants, grocery stores, and for libs/dems/media Grubers this is what happens when excuses are made for evil and all society suffers. Good. That's what families get when they try to cash in on dead relatives like it's a lottery. Hope the judge doubles the amount.